Have you ever asked yourself “why is there an easter bunny?”, well, neither have I! 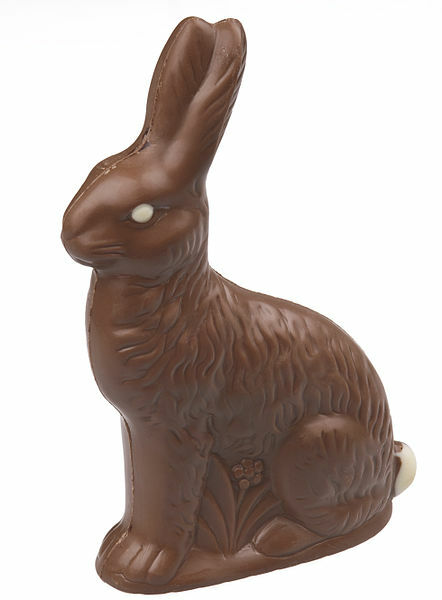 Because I have always known that Easter is the celebration of Jesus, the Son of God rising from the dead, I always looked at the easter bunny as just a gimmick to sell stuff. But what I did not realize is how many truly do not know that Jesus is the reason for the season. Sadly, the number of people in the US that claim to be atheists has now climbed to 20% of the population. That means that fewer and fewer people know anything about Christianity let alone Christian Holy Days. But the lack of knowledge does not keep them from enjoying the benefits of the Christian heritage. Take, for example, “spring break”, most people cannot wait for it, they plan it months in advance…IT”S PARTY TIME!!! Well, spring break didn’t exist as we know it, until the last thirty or so years. Spring break was just a quick way of saying Holy Week. Holy Week, the period starting on Palm Sunday which we remember our Lord Jesus entering into Jerusalem with the people waving the palm branches and there by proclaiming Him king. Then following Palm Sunday are three days of preparation, Monday, Tuesday and Wednesday with Wednesday being the last day of the Lenten fast. Then Holy Thursday, the commemoration of the institution of the Eucharist, also known as the Last Supper. At the last supper is where the disciples are also consecrated because after this, they are always called Apostles. Then comes Holy Friday, the day that our Lord Jesus was nailed to a cross for our sins. Then after Friday comes Holy Saturday, the Sabbath in which we wait. 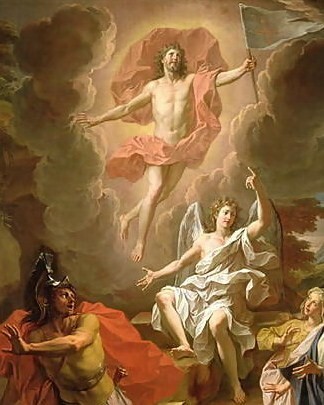 Now, Thursday, Friday and Saturday are what is called the The Easter Tridium in the Church. Then eight days after Palm Sunday is Easter Sunday where the Son of God rose from the dead and opened Heaven to the faithful. What used to be a week of deep prayer, meditation and worship has become a week where the young people get drunk to the point of death, engage in sexual immorality to the point of mocking our Lord on the Cross. Holy Week is not the only Holy Day that is desecrated by the culture today. Everything that is of God’s is profaned or desecrated in someway. You see, holy days throughout the year come from the Liturgical Calendar of the Church. A liturgical calendar is basically predetermined days throughout the year set aside for specific worship. The entire Church’s life revolves around the Liturgical Calendar. Every holy day of this calendar has been desecrated in one way or another. Many of these Holy Days used to be at one time pagan festivals and it was the Church (Jesus) Christianized them. But now with a lacking faith many are returning to their former ways of paganism. 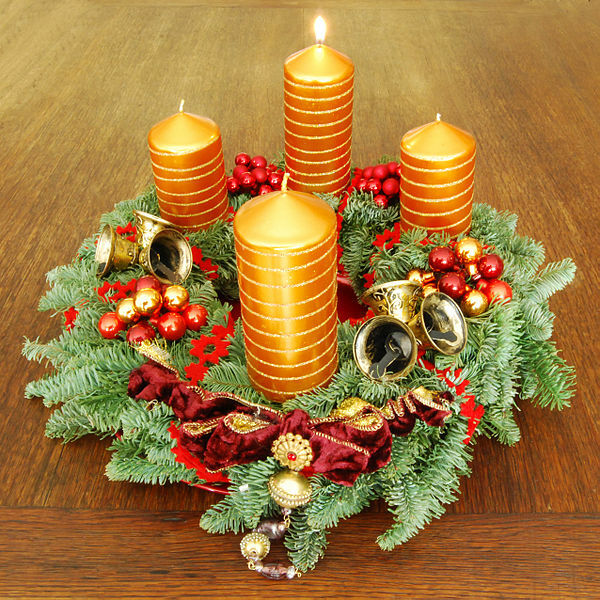 The Liturgical Calendar actually begins at the end of November with Advent. Advent is the preparation for the coming of the Savior of the world. Advent starts four Sundays before Christmas and is supposed to be a time of deep prayer and contemplation because we not only commemorate the waiting for the Son of God being born (the Incarnation) but also in the second coming of our Lord on Judgment day! Christmas, which is a shortened word for Christ’s Mass, starts on December 25th, it is the day we, as Christians, celebrate the birth of Jesus. Christmas last for twelve days, hence the song “The Twelve Days Of Christmas”. It is not the twelve days before December 25th but twelve days starting on December 25th. On January first of every year is a Mass for the mother of our Lord, Mary. Then on January 6th we celebrate the Epiphany, the commemoration of the “Three Wise Men’ visiting Jesus in the stable. Let us look back at what actually happens during Christmas time in the current culture. Right around the time of Advent, the selling of stuff all things Christmas begins with “Black Friday”, the absolute chaos the ensues over saving a buck or two is astounding. People are as rude to each other as can be in this environment. Work and family parties start to occur, with every day that passes more and more people spend more and more, get themselves into debt and eat in excess. The frenzy builds and builds until the night before where not a creature is stirring. Then Christmas morning the frenzy happens again with little children opening gifts that an obese man in a tacky red suit allegedly delivered through the chimney. The children have a firm undying belief in this man named Clause in a red suit because their parents have told them that he actually exists. After a full day of relishing in the stuff they all received and stuffing themselves like the turkey they ate just a month before, it all stops, it all comes to and end. December 26th is a big let down, Christmas is over and now it is time to start getting ready for New Years Eve party, A time to get drunk once again. This is the same pattern for every Holy Day of the Church, it has slowly been changed and stripped of any meaning. Hallow’s Eve became Halloween and on and on. And not just Holy Days but Christian symbols. The Cross has become bling bling jewelry, The rainbow has become the sign of the gay and lesbian cause. 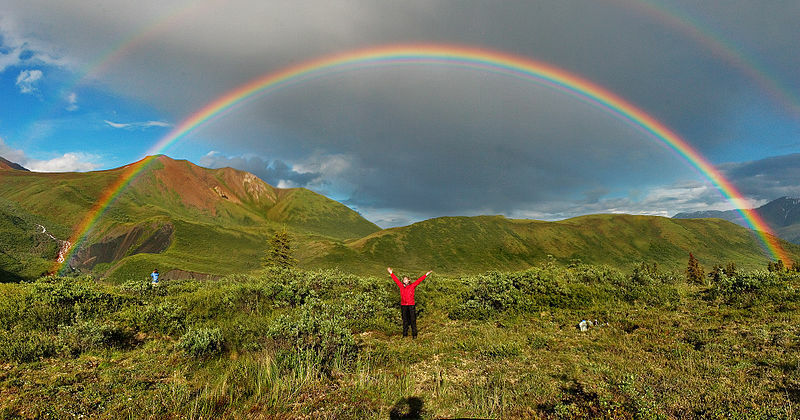 The rainbow…the symbol that God gave after the great flood indicating that He would not flood the Earth that way again for the sins man has become the symbol of those that chose one particular sin and threw it back at God’s face. Tagged: Catholic Faith, Christmas, Easter, Easter Christmas, Holidays, Holloween, Holy Days, Jesus, Lent, Valentines Day. ‹ Why are we called Catholics?